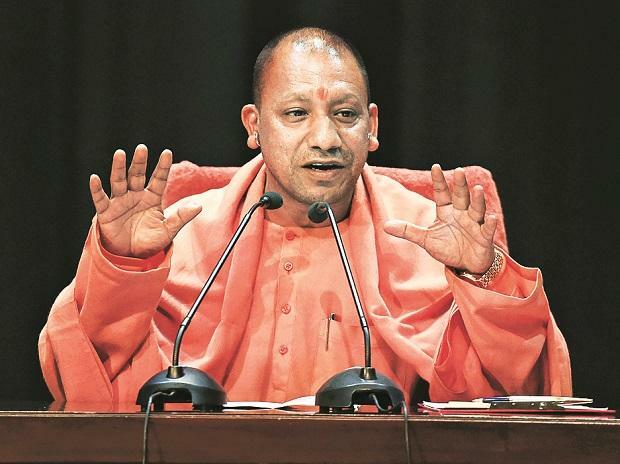 Weeks ahead of the Lok Sabha polls and before the Election Commission of India (ECI) declares election dates, the Yogi Adityanath government has fast tracked the Ayodhya and Kushinagar airport projects to boost religious tourism in Uttar Pradesh. While, the government had last month approved prospective investment of Rs 640 crore for the proposed Ayodhya airport, the state has now signed a memorandum of understanding (MoU) with the Airports Authority of India (AAI) for the development of the airstrip in Kushinagar into a full fledged airport to handle bigger flights. Recently, the state cabinet had given nod for the permanent transfer of land and other infrastructure of the airstrip to the AAI. Kushinagar, situated 50 km from Adityanath’s pocket borough of Gorakhpur, is home to monuments related to Buddhism. UP civil aviation director Suryapal Gangwar told Business Standard today the airport has been selected for development under the central regional connectivity scheme (RCS) or ‘Ude Desh Ka Aam Naagrik’ (UDAN) III. “As per the RCS policy, the existing airports have to be developed for operational purposes. There is an option for the state governments to develop the airports by themselves. However, if they face any paucity of resources, then these assets could be handed over to the AAI,” he added. Gangwar informed now the AAI would draw the blueprint of its development, including the plan for bidding, investment etc. Kushinagar has an existing airstrip spanning 97 acres to handle small aircraft. Under successive regimes, UP had planned to develop the Kushinagar airstrip into an international airport and preliminary bidding was also conducted. However, the plan could not take off due to the prevailing economic and market conditions in the domestic infrastructure sector. Kushingar international airport was estimated to cost nearly Rs 354 crore under public private partnership (PPP). In January 2014, the Akhilesh Yadav cabinet had cleared the project under Design Build Finance Operate Transfer (DBFOT) basis and approved final bid document. The bidders, who had previously qualified technical bid stage in March 2013 included GMR, Essel, Gammon India etc. The state had even acquired 550 acres for the purpose. The airport with a runway of 3,200 metres was estimated to serve about 2,50,000 tourists annually. It was touted to be India’s first airport wherein the Centre had given in-principle approval for viability gap funding (VGF) of 20%. According to mythology, Lord Buddha attained ‘Nirvana’ at Kushinagar and it is thus a principal Buddhist site. The Buddhist Circuit comprises several districts in Eastern UP and adjoining areas in Bihar, including Kushinagar, Sarnath (Varanasi), Kaushambi, Shravasti and Kapilvastu. The proposed airport is expected to connect the Circuit with other destinations either directly or indirectly. A large number of tourists from Japan, Myanmar, Korea, China, Thailand, Bhutan and Sri Lanka visit the Circuit.